It was after the birth of my second child that I discovered the amazingness of freezing meals — at first out of desperation, but later out of pure convenience. I soon learned some tricks of the trade, through personal experience and even workshops, and I’ve never looked back. Life gets busy, and it can become exhausting to plan meals week after week. To help combat that chaos that busy schedules can bring, what I do each month is freeze four to five meals to be used throughout the month. 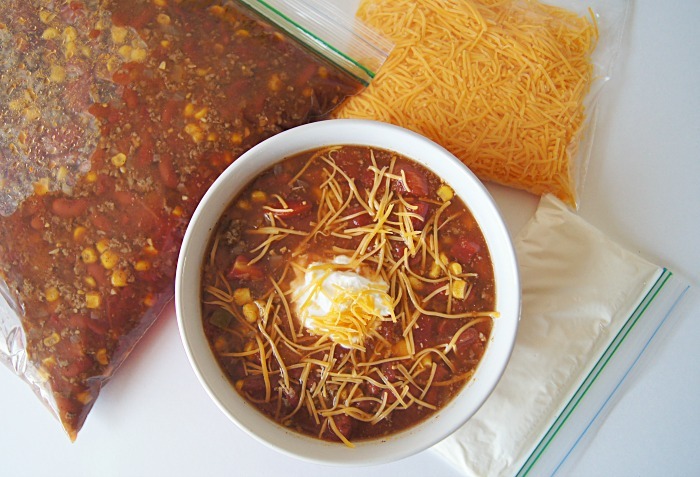 At the beginning of each week, I pull one or two meals out, let them thaw in the refrigerator, and turn to the freezer meal on the most hectic day of that week. It’s such a time-saver, and it keeps us from what we would otherwise do on a busy night — just eat out. Of course, for those of us who have kiddos with type 1 diabetes, having a meal on reserve like this is only really helpful if the nutritional information is already calculated as well. Because if we still have to carb-count the entire meal on a busy night, the point is kind of lost. I’ve compiled three of our very favorite freezer meal recipes, all of which are a breeze to prepare, withstand freezing and thawing really well, and are absolutely delicious. And, of course, each one comes with a carb count. These steak fajitas have totally overtaken Taco Tuesdays in my house. My son with type 1 diabetes loves them, and I love giving them to him, because the entire recipe is pretty healthy and relatively low-carb. And it’s one meal that actually fills him up — an increasingly difficult feat for this growing preteen — without having to add a bunch of side dishes. Soup freezes really well, and it’s a total breeze to prepare on cooking day, as it usually just involves dumping the entire contents of the bag into a pot and letting it simmer. 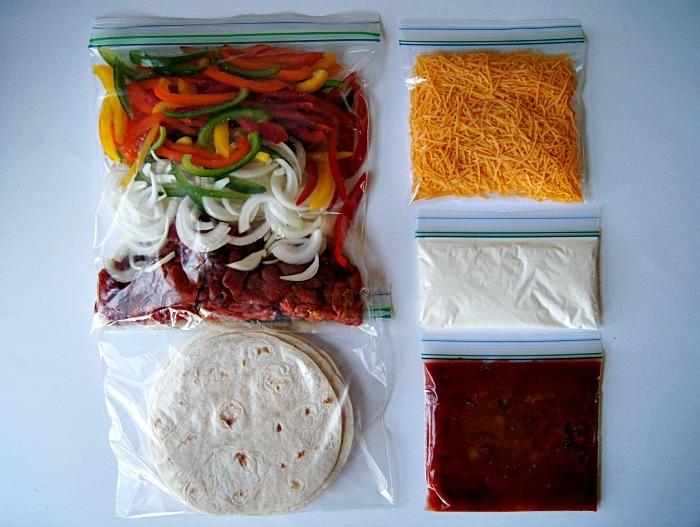 If you prepare this meal and our steak fajitas on the same day, you can freeze the toppings for both, cutting down on waste. Allowing chicken time to marinate during the freezing and thawing process really lets it fully absorb all of the great flavors in a marinade. This recipe is proof of that. The flavor it takes on is so surprising and delicious, and the chicken is so juicy and succulent, my entire family loves it. 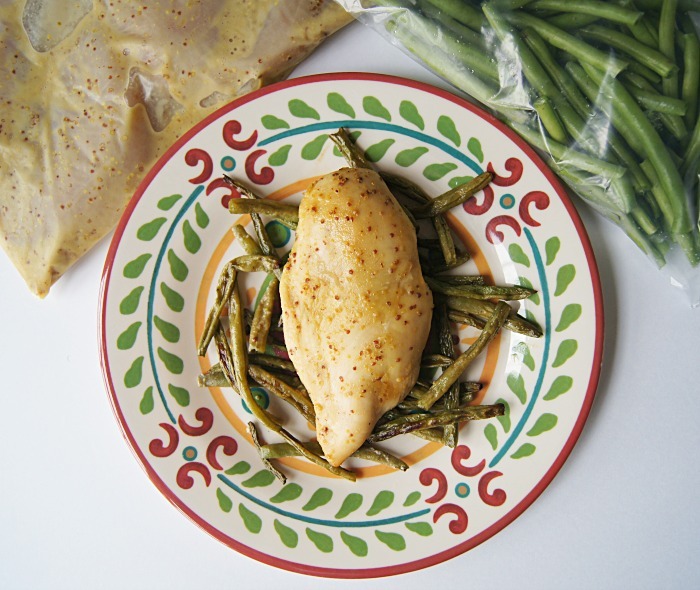 The addition of green beans makes it a complete healthy meal, and best of all… one that is easy on my son’s blood sugar.